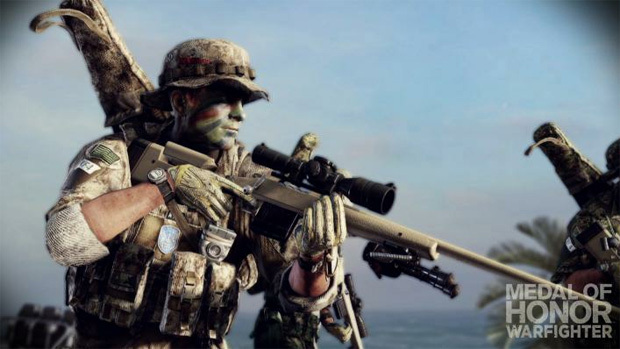 If you can look away from all of the "INCLUDES BETA ACCESS TO BATTLEFIELD 4" mentions, then you'll notice that Medal of Honor Warfighter will have a storyline. Odds are that this single-player will be far better than whatever the hell the single-player in Battlefield 3 was too. As for the trailer, we see main character Preacher and his teammates going around the world shooting up all the bad guys. It looks like things are personal for Preacher too, as his wife and/or daughter get killed by terrorists. At least that's what it seems like the trailer is alluding to.